Listen in every night at 10pm PDT to hear this new show. Once a week, host JimR takes you on a tour of a common theme in songs, stories and an interesting interview based that common theme, (hopefully). I'm getting a lot of interviews about animation which I plan on posting without the music part due to copyright issues. Once the process is figured out, I will post those interviews onto the new Animateducated YouTube channel. Why not save yourself some time and subscribe to it today. 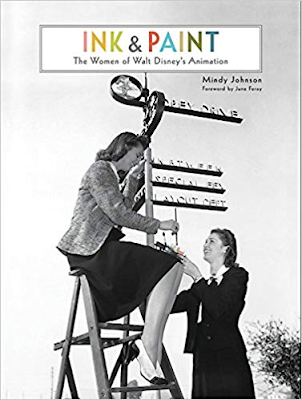 The first episode features an interview with Author Mindy Johnson and Animator Jane Baer about "Ink and Paint: The Women of Walt Disney's Animation." Each week we hope to have a special guest to talk about what they do or have done in the animation, comics or video game world. Here's the Mindy Johnson interview. The 2nd episode was about Superheroes! Songs and Stories about Superheroes and meet J.R.R.R. jim Hardison the author of "The Helm" and hear about the process of making a comicbook.